Newport News, Virginia is most notable for its shipbuilding and U.S. Navy connection. However, there’s also a tenuous connection between the shipbuilding and golf worlds. A Golf Museum, located at the James River Country Club, was founded by Archer M. Huntington, the principal owner of the Newport News Shipyard in the first part of the 20th century. Huntington built the world-renowned Mariners’ Museum for the people of the Tidewater area, so he agreed to fund a museum of golf for the members of James River Country Club. The two museums are less than a half-mile apart, just minutes off Interstate 64 at the J. Clyde Morris Boulevard exit. Clearly one of the world’s best golf museums, the Golf Museum at James River Country Club includes a plethora of golf artifacts and memorabilia. This well-planned dedication to golf actually opened four years prior to the United States Golf Association’s museum and archives, which opened its doors in 1936. More than 500 old clubs, including the oldest identifiable golf club in the world, a Simon Cossar putter dating back to 1790. An 1836 map of the Old Course at St. Andrews. The putter used by Horace Rawlins when he won his first U.S. Open in 1895. Three clubs used by Bobby Jones during his championship years, including his Grand Slam in 1930. A book dating to 1566 that includes the first reference to golf. The oldest golf ball in the world, from 1790. The collection includes 150 balls from 1790 to 1932. 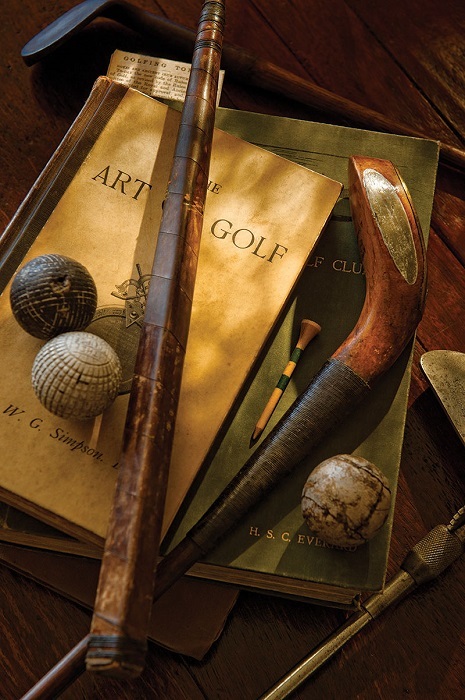 Most of the artifacts at the Golf Museum are from the pre-modern era of the game. However, if there’s a significant tie-in with the James River Country Club, exceptions are made, like with club member and PGA professional Curtis Strange. In 2001, Strange was the U.S. Ryder Cup team captain. The flag signed by the entire team was presented to the museum in November 2001. Anyone who loves the game of golf, or history for that matter, should visit not only the Golf Museum but also the Mariners’ Museum just down the road when visiting Newport News. While you’re in Newport News, park your RV at Newport News Park Campground just off Interstate 64. For additional information about the area, visit Newport-News.org.